The Kik Messenger app is an awesome way to stay in touch with your friends and make new friends. The free instant messaging platform allows you to not only send and receive text messages in real time, share pictures, video, audio files, send and receive stickers, but also to interact with Kik bots and much more. However, no app is perfect and there is a chance that, at some point, you might receive spam. In this article we will talk about Kik spam: what it is (i.e., how you can easily identify it), and how to deal with it. One of the main problems with Kik spam (or spam more generally) is that many people struggle to recognize it or only do so when it is perhaps to late. In most cases, spam will just make you waste some of your time but, sometimes, it can have rather more serious consequences. 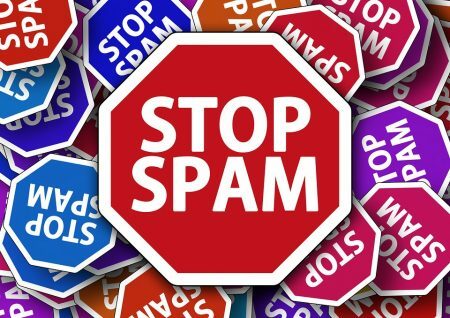 We do not mean to alarm you here; our goal is just to make you aware of the different strategies spam uses, and how you can identify it and deal with it swiftly before anything worse happens to you. Being aware of spam so that you can easily recognize it will save you from any bigger problems. This awareness will only make your experience of using the Kik Messenger app a lot more pleasurable and fun. Why Is There Spam on Kik Messenger? It is important to explain that the Kik Messenger app is safe to use. Kik Interactive (the company that owns the instant chat app) takes the safely and privacy of its users extremely seriously. They make all kinds of efforts to prevent spam from being spread on their app but, inevitable, they cannot stop it always. This is why it is important that, if you come across some spam on Kik Messenger, you should report it as soon as possible. Later on in this article, we will explain how you can do this. Kik Messenger is very easy to use and everyone over the age of 13 can register (with the caveat, of course, that people between 13 and 18 years of age can only do so with the consent of one of their parents or legal guardians). This is a great way to ensure that you can always chat to potentially millions of different people from around the world. The downside is that not all of those millions of users will be genuine. There are always users who can harass you and spam accounts, but in both cases Kik Messenger is there to help you. How to Recognize Kik Spam? Very often spam is created from remote locations in countries where English is not their first language. So, a good way of identifying spam is by paying attention to spelling and grammar. Unfortunately, many native people also make spelling and grammatical errors online. Spam accounts, however, would tend to use unnatural sounding English. Because millions of people around the world use the Kik Messenger app, you may come across bad English being used by genuine Kik Messenger users. So, often that is not enough to identify spam. Another way is to see the nature of the conversation. The nature of spam is to try to obtain information from you. So, if the user you are chatting to insists in asking you intrusive questions and often irrelevant or odd questions, then you are probably chatting to a spam bot. Links: If the “user” you are chatting to sends you a link for apparently no reason, you can be sure that you are talking to a spam bot. One of the most popular ways for spam bots to phish information about people is to direct them to a third party website. First of all, there is no reason why a genuine user would direct you to such a site. These external sites often claim to have great offers for you after you register by entering some information about your finances. If you get any of those links do not click on them but, if you do, never enter any information on the site you would be redirected to. Conversations that make no sense: spam bots would try to conduct the conversation. They will often ask you questions, etc. The problem is that spam bots get more sophisticated with time so they are designed to sound quite conversational, which may fool you initially. However, if you try to change the subject or be more in control of the conversation you will soon notice that your chats would stop making much sense rather quickly. Spam bots will always try to go back to what they are there to do: get information about you. If you keep trying to stir them away from that, the chat will cease to make sense. A good way of trying this out would be for you to ask the suspected spam bot questions but not really general “getting to know you” questions, but very specific questions about random topics. The more specific and the more random, the better. The point is to see how the “user” reacts to determine whether you are chatting to a spam bot or not. What To Do Is You Are Talking To A Spam Bot? Now that you know some tips on how to find out if you are talking to a spam bot you would probably be wondering what you should do if you discovered that you have been targeted by a spam account. It is tempted to just block the account bothering you and move on. Indeed many people do just that. But it is strongly advisable that you take a different course of action when it comes to spam bots. Instead of simply blocking (as you would rightly do when a genuine users would be bothering you), you should report those accounts as spam. There are two different ways in which you can report an account as spam on Kik Messenger. You can do it either from your chats or you can do it from your new chats lists. Both methods are very similar and only require you to take a few easy steps, which we will explain on this section. The first you will need to do is to tap on the profile info of the spam account you are chatting to. To do this, just tap on the icon in the top right hand corner. Once you are on the spam profile info, find the icon that has three vertical dots and tap on it. If you cannot find this icon it is located in the right hand corner in the top of the info screen. You will then different options, find “report” and tap on it. Again, you will be presented with different options. In this case select “this is a spam bot”. Then you will have the option of including the chat history or not. What this means is that you can include the content of your chat with the spam account or not. It is entirely up to you. If you decide to include it you will need to tick the relevant option on your screen. Finally, whether you have decided to include the chat content or not, tap on the report and block icon. Open the chat you have been having with the spam account. Then tap on “ignore” and either “report and block” or “report”, depending on the smart phone or mobile device you are using. Then simply tap on the option “this is a spam bot” and decide whether to include the chat history or not. Finally, just tap on “report and block”. The hardest thing about Kik spam is not dealing with it but finding out if it is actually spam or not. If it is a genuine Kik Messenger user bothering this is just as serious but it can be solved by simply blocking him or her. That way you would never hear back from them ever again. Blocking a spam account is also effective but it may not be the best possible solution. If you report them, you will also be effectively blocking them but also you will be letting Kik Interactive know that the account in question is spam. That way they will be aware and could take some proper action to get the removed. How do you deal with spam? Do you have any tips about recognizing spam on Kik? If so, do not forget to leave a message in the section below.